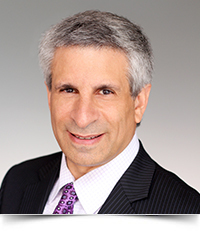 Harris J. Chernow, Chair of Reger Rizzo & Darnall’s national Franchise & Distribution Practice Group, and member of the Firm’s Entertainment, Hospitality & Sports Law Group, concentrates his practice on franchise and business matters. Mr. Chernow prides himself in taking a sincere interest in each and every client, big or small. He has developed a national franchise practice representing franchisors, franchisees and distributors of all industries, along with his corporate and business, retail development and leasing practices. Throughout his career, Mr. Chernow has been dedicated to providing comprehensive, practical, solution-oriented legal advice and franchise and business counseling by combining innovative thinking with a solid foundation in the law. Additionally, for more than 25 years, Mr. Chernow has represented businesses of all sizes, including hotel owners, financial service companies, manufacturers and service-oriented companies, as well as individuals in a wide range of legal matters, including general business matters, real estate, employment, financial services, mergers and acquisitions, day-to-day counseling and dispute resolution. Author, I’m Ready to Turn My Business Into a Franchise. Reger Rizzo & Darnall Client Alert. Author, I Want To Be A Franchisee – What Should I Do Next? Reger Rizzo & Darnall Client Alert. Featured, 2016 Top Laterals/New Partners. The Legal Intelligencer. Author, The Franchisee and Franchisor Relationship: An Easy Exit (or Not). The New Jersey Lawyer. Featured, People in the News. The Philadelphia Inquirer. Featured, ABA Forum on Franchising’s publication, The Franchise Lawyer. Featured, People in the News. The Legal Intelligencer. Chapter Co-Author, Mergers and Acquisitions of Franchise Companies (Second Edition). American Bar Association Forum on Franchising. Author, The Internet Hits a Brick Wall. The Franchise Lawyer. Co-Author, Managing Franchise Relationships Through Mediation - Chapter: Franchise Mediation from the Trenches. CPR Institute for Dispute Resolution. Chapter Co-Author, Financial Performance Representations: The New and Updated Earnings Claims. American Bar Association Forum on Franchising. Author, Franchise Resources. The Franchise Lawyer. Chapter Co-Author, Franchising 101, the Complete Guide to Evaluating, Buying and Growing Your Franchise Business. The Association of Small Business Development Centers. Presenter, How to Advise and Protect Your Franchise Clients. The New Jersey Institute for Continuing Legal Education. Presenter, The Big Business of Franchise Law. The New Jersey State Bar Association’s 2018 Annual Meeting and Convention. Presenter, Have Multi-Unit and Multi-Brand Franchisees Set a New Standard for Franchisors? The 2018 International Franchise Association's Legal Symposium. Moderator, Fundamental Legal Aspects of Franchising. The Philadelphia Bar Association's 2017 Bench Bar Conference. Presenter, Franchise Law in 2017: What Every General Practitioner Should Know. The New Jersey State Bar Association. Presenter, Fundamentals of Franchising. ABA Forum on Franchising's Annual Forum on Franchising. Moderator, Permission or Forgiveness: Dealing with Brands and Brand Standards. Georgetown Law School Hotel & Lodging Summit. Presenter, Franchise Law: From Soup to Donuts. The New Jersey Institute for Continuing Legal Education. Moderator, Due Diligence When Buying a Franchise System. The 2016 International Franchise Association's Annual Convention. Presenter, Death by Dangled Carrot: Litigating Financial Performance Representations. IFA's 49th Annual Legal Symposium. Panelist, Coaching Your Client through Buying a Business Opportunity. Philadelphia Bar Association. Presenter, Addressing Today’s Important Issues in Franchised Hotel Systems, Both Operational and Contractual. Georgetown University Law Center’s 3rd Annual Hotel & Lodging Legal Summit. Presenter, Review and Negotiating Franchise Agreements, Parts 1 and 2. National State Bar Teleseminar. Presenter, Franchise Agreements, FDDs and Related Documents: Negotiating Key Terms. Strafford Webinar. Presenter, Is That a Fair Deal? Best Practices for Negotiation of the Franchise Agreement. American Bar Association Forum on Franchising. Presenter, Fundamentals of Franchising. American Bar Association’s 34th Annual Forum on Franchising. Presenter, A Review of the Fundamentals and Annotated Bibliography of Helpful Resources. International Franchise Association’s 40th Annual Legal Symposium. Presenter, How to Be an Effective Advocate in Mediation. American Bar Association’s 28th Annual Forum on Franchising. Presenter, Total Quality Franchising. American Association of Franchisees and Dealers Annual Convention. Presenter, International Franchise Association’s 41st Annual Conference. Presenter, Franchising 101. Montgomery County Bar Association. Presenter, Franchising Your Business. Montgomery County Bar Association. Presenter, Understanding Franchise and Distribution Law Issues. New Jersey State Bar Association. Presenter, The Legal Aspects of Franchising. New Jersey State Bar Association. Presenter, Update on Franchising Law and Practices. New Jersey State Bar Association. Presenter, Best Practices for Handling Defaults and Terminations. International Franchise Association’s Legal Symposium. Presenter, Termination Alternatives. International Franchise Association’s Legal Symposium. Presenter, Developing and Using Franchisee Associations and FACs. International Franchise Association’s Legal Symposium. Presenter, Ethics and Liability Concerns of Franchise Lawyers. International Franchise Association’s Legal Symposium. Roundtable Moderator, Multi-Unit Development Issues. International Franchise Association’s Legal Symposium. Roundtable Moderator, Dealing with Franchise Associations. International Franchise Association’s Legal Symposium. Roundtable Moderator, Technology Issues. International Franchise Association’s Annual Convention. Presenter, Under Performing Franchisees. International Franchise Association’s Annual Convention. Presenter, Negotiation in the Franchise Relationship. International Franchise Association’s Legal Symposium. Presenter, The Prevent Defense. International Franchise Association’s Florida Legal Roundtable. Presenter, Reviewing and Negotiating Franchise Agreements (Parts 1 and 2). Professional Broadcast Education Network. Presenter, A Practical Guide to Reviewing and Negotiating Franchise Agreements. National Constitution Center Audio Conference. Presenter, Distribution Law. Lorman Educational Institute Seminar. Presenter, Type of Entity. Women’s Business Development Center. Presenter, Legal Aspects of Franchising. Delaware Franchise Showcase. Presenter, National Association of Small Business Development Centers Conference. Presenter, Strategic and Tactical Decision Making. American Bar Association. Presenter, Managing the Organization of a Franchise Association. American Bar Association. Presenter, Effective Opening Statements and Closing Arguments. American Bar Association. Presenter, Road to Perdition: The Case Against Arbitration. American Bar Association. Presenter, Negotiating a Franchise Agreement. American Bar Association. Presenter, Anatomy of a Franchise Divorce. American Bar Association. Presenter, Essentials of Franchising. Annual American Bar Association Meeting.